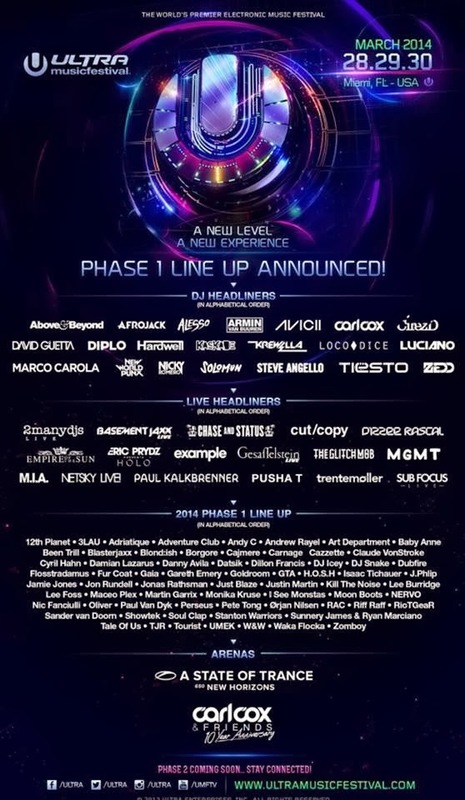 Miami's Ultra Music Festival Releases Their 2014 Phase 1 Lineup! It is here! 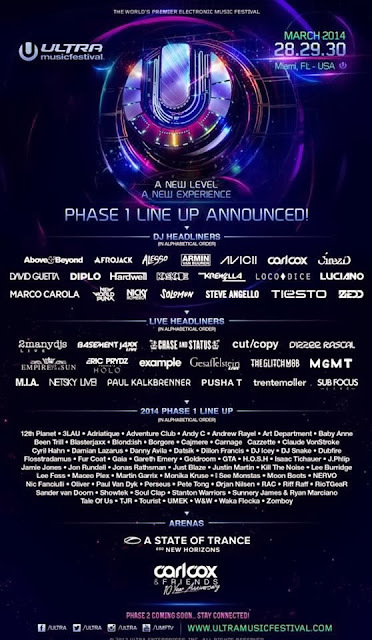 The 2014 Ultra Music Festival phase 1 lineup has be released to the public and has given us a lot to look forward to! Including not only some of the largest names in EDM but also providing us with a list of live artists that will make this years Ultra like none other! Although VIP tickets are sold out, There are still a handful of general admission tickets left for grabs.